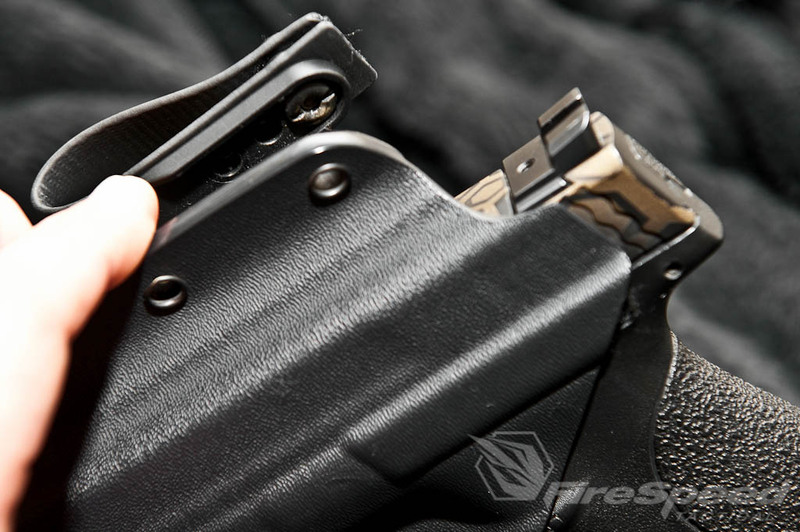 Kydex holster fabricators are now easier to find than a piece of spent brass at the range. But of course quantity does not bring quality. 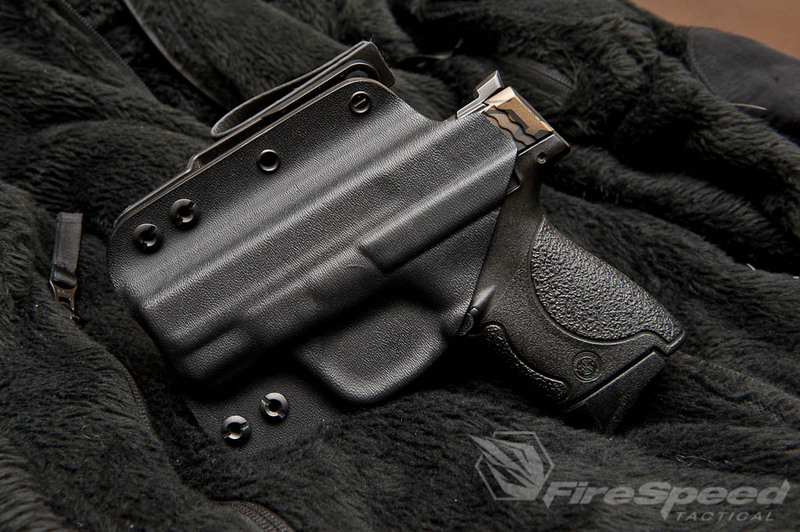 A quality fabricator can shape a holster to minimize footprint, retain position, wear comfortably all day and most importantly, be consistent in drawing. Without a solid, efficient draw you put yourself and others at risk. 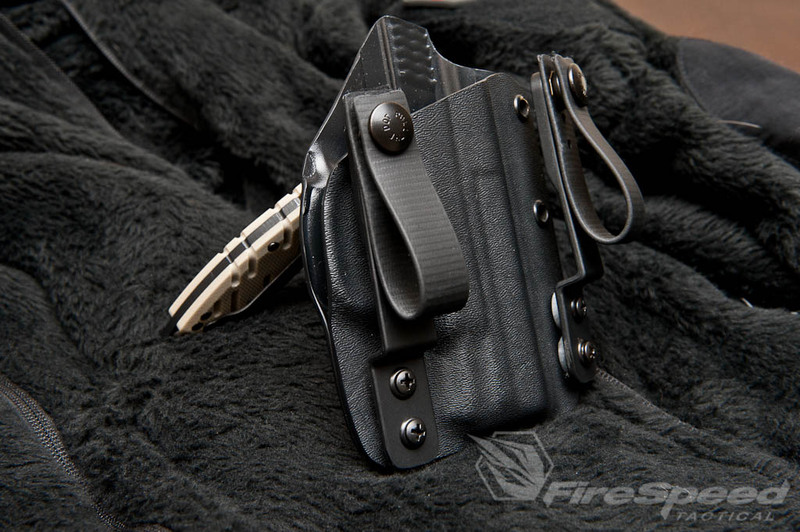 It can be difficult to write a review on a product such as a holster because so many different considerations go into what makes for a “good” unit. This article will cover some of the facets of The Spartan and why I so readily recommend it. Squared Away Customs was founded by Mark L. and is based in Vermont. They pride themselves on short lead times and maintaining a high quality standard. Unlike other kydex manipulators I have dealt with, SAC (Squared Away Customs) welcomes custom kydex projects! If you have an idea for a project, contact them thru their website . After using their Spartan holster for a few weeks, I knew they would be the ones to make a custom rig for my P-09. I reached out to Mark at SAC, who is in the process of making this happen. So, look forward to that upcoming review! The Spartan was designed by Cloud Defensive and produced by SAC, and it was crafted specifically for IWB carry. 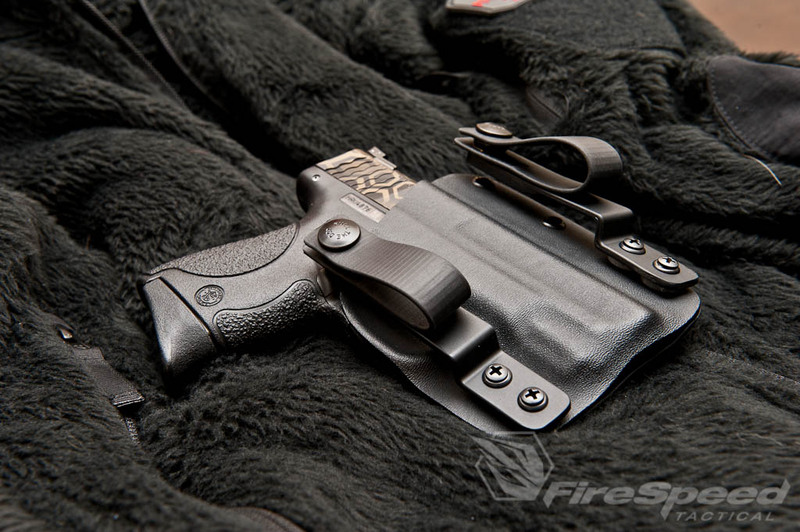 It isn’t an OWB that had the loops removed and some soft loops thrown on it and then dubbed an “IWB Holster.” They took the features they liked the most and avoided the issues other holsters had and thus conceived, The Spartan. One thing I have to say is that I despise the “one size fits all” approach to products that expect you to change, to fit the product. 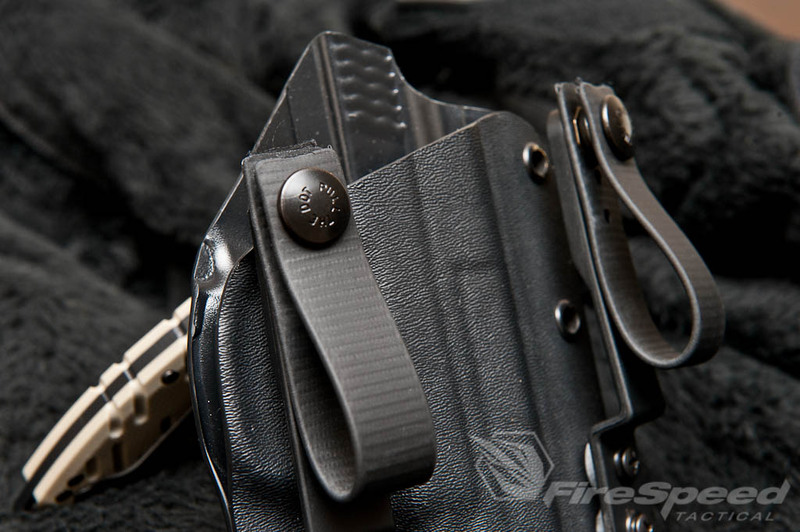 The Spartan holster allows you to change the configuration to best fit your carry style. Whether it is comfort, deep concealment, or grip access, you can configure the holster to reach these goals. You can adjust the loops for different ride heights and then the angle of the loops for different cants. The picture above shows me running the loops with a cant and then the photo below shows a zero cant. If you look at the magazine button you can see that it is mostly covered to prevent accidental mag release. Defined, well formed impressions for a solid fit and retention. 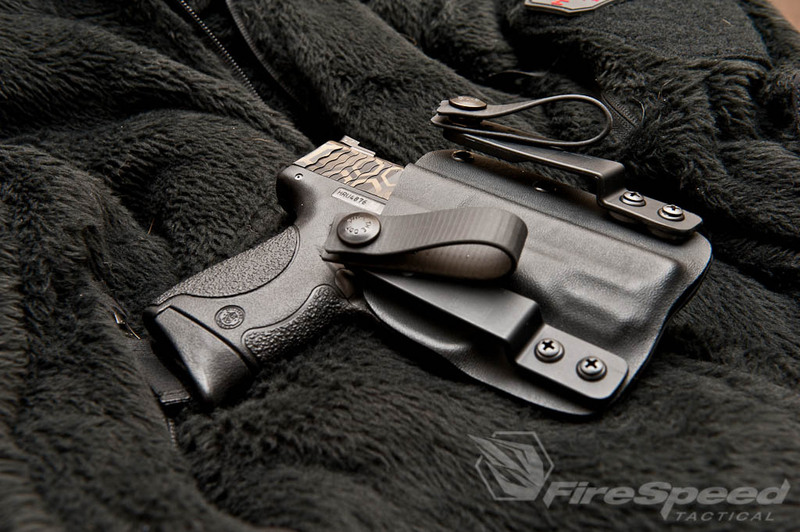 The holster has what I would refer to as a “Mid” or “Medium height” sweat guard which I prefer. It also helps you guide your firearm into the holster while re-holstering. A common missing feature with IWB holsters, is that they cannot be worn with a tucked in shirt! Since S.A. used SAC struts in their design, you can tuck in your shirt if desired. 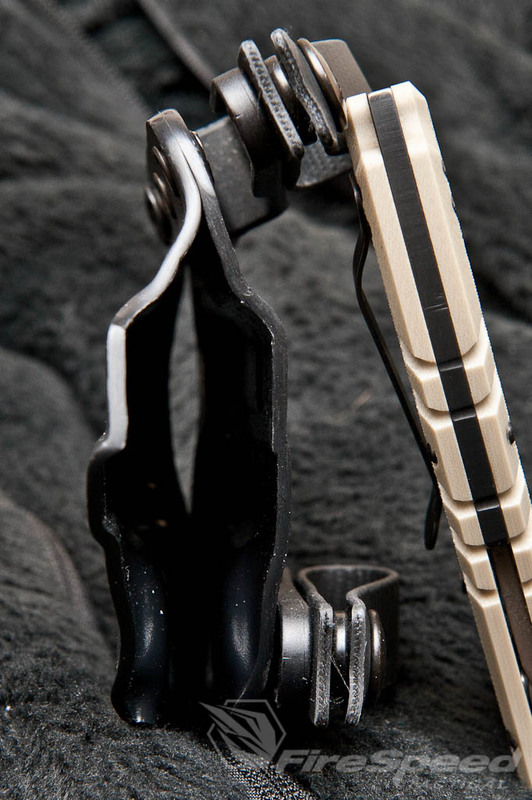 Another quality component of the Spartan is S.A.C’s use of rubberized-coated kevlar loops. The coating makes them hitch to your belt better to prevent the holster from sliding around. 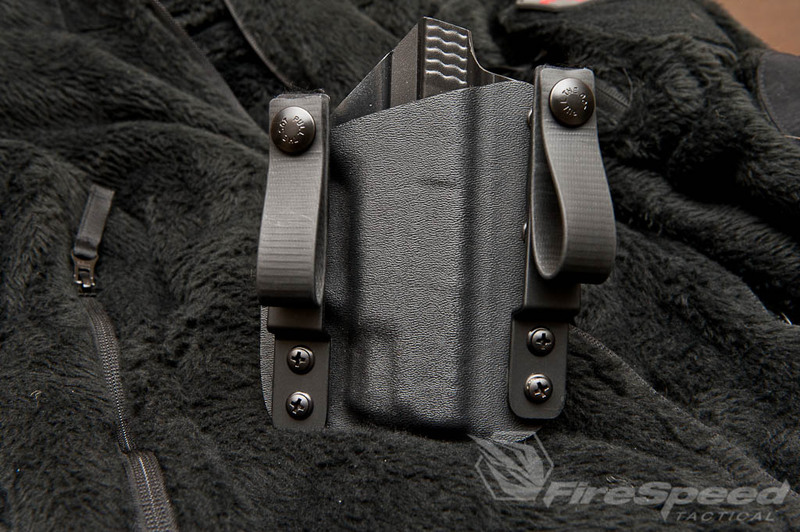 The holster is made from .093 kydex for better retention and stiffen the structure to be more resistant to cracking during daily use. 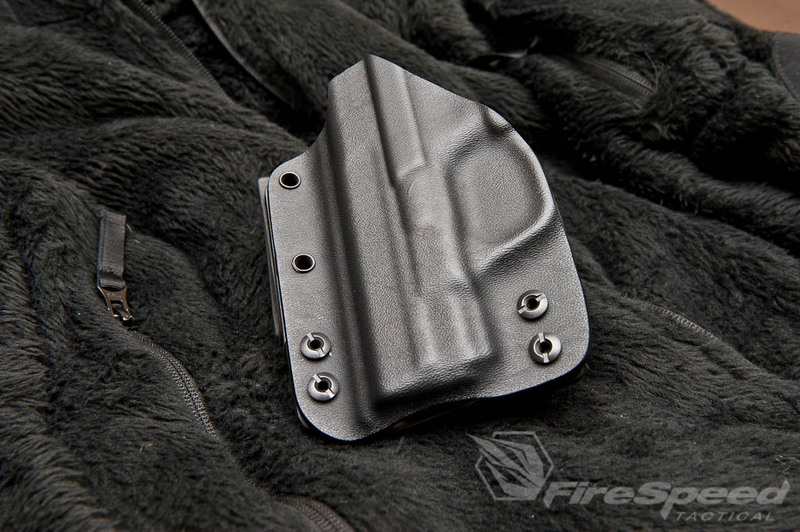 If you were running a race competition rig you would want a thinner kydex for less resistence to speed up your draw. 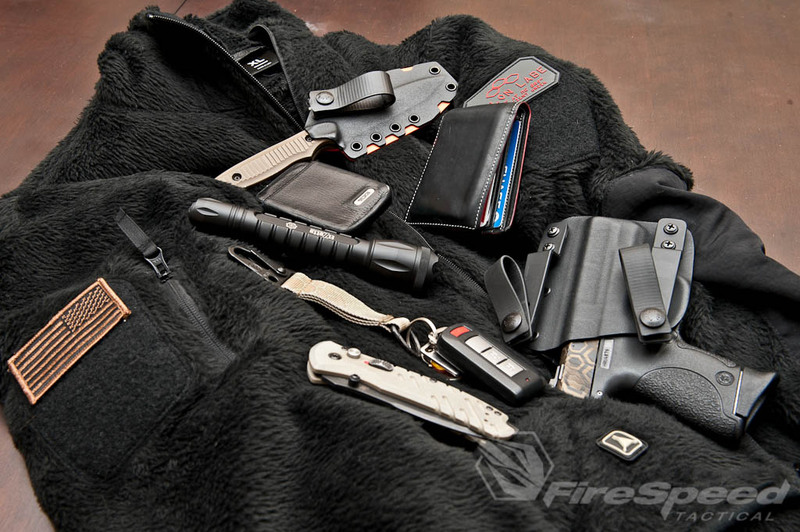 I opt for greater retention in a carry piece so when you are running into a store while raining you don’t feel compelled to throw your hand on your grip to keep your piece secured. In the following photo, you can see how the edges are blended for a smooth feel and appearance. This is going against your body so you want it to be comfortable! In this photo, you can see the different mounting points for the loop to strut. For the photo I have had it at position one, but after snapping the shot I switched it to the middle position (mounting hole 2) in order to raise up the holster to get better grip purchase. 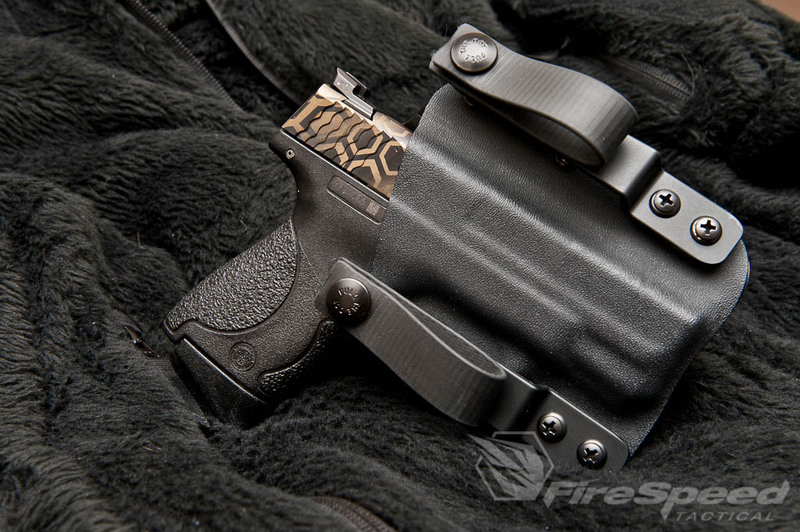 Now we have you all excited and craving a new holster for your carry piece, let’s get you rolling with a promo code SAC gave us to push you over the edge. Use ” fireaway10 ” while finalizing your order to take advantage of the discount. SAC has FREE SHIPPING! So if you are debating something and delaying so you can order everything at once, DON’T DELAY! Order what you want and then you can follow up and place additional orders since it is free shipping! That way you get into queue and start receiving your products.